Happy Sunday! While testers are working on my new designs, I created this free printable! Yarn is definitely my love language. Cotton, hand-dyed, specialty – it all makes me happy. What is your favorite yarn? Comment below and let me know! 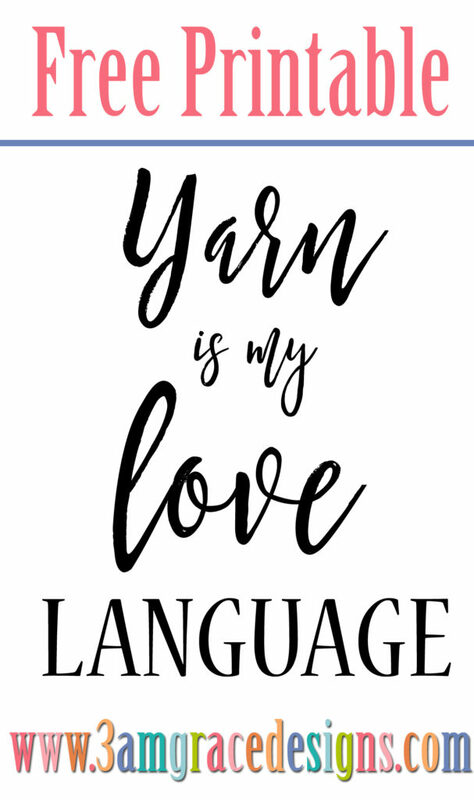 The link for Yarn is My Love Language – 3amgracedesigns.com is not working – canyou please fix it? Thank you! It has been corrected, thank you!